The idea of entering the workforce is one of the most daunting things that a college student will ever face. Luckily, Tech provides countless opportunities and resources to help students develop the skills and experience needed to enter such a competitive job field. The core of these resources is the Center for Career Discovery and Development (C2D2). 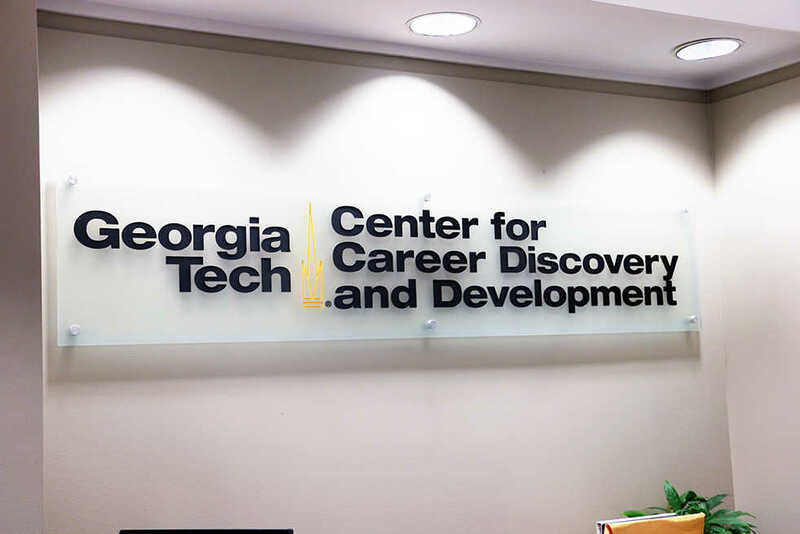 As the name suggests, the services that C2D2 offers are two-pronged: they help students discovery future career paths, then help them develop the skills necessary to successfully find and secure a job. The discovery part begins with the many advisors that the center has for students to utilize. There are advisors for students of all majors, both undergraduate and graduate students, and advisors who can help students specializing in pre-health, pre-law, pre-teaching and prestigious fellowships. One of the most-utilized services C2D2 has to offer is its ability to connect students to internships and co-op opportunities. Tech has a long tradition of education by experience, with over a 100 years of co-op experiences. Through C2D2, students can find, secure and gain credit for these opportunities. Additionally, C2D2 does more than just provide opportunities. The center offers services such as CareerBuzz and Campus Closet and hosts workshops and information sessions for students to attend to learn more about developing and finding a career. CareerBuzz is a student-only job posting site that helps connect potential employers to students and allows them to view resumes and set-up interviews with Tech students. Online access is available 24/7 for students and provides postings for full-time, part-time and internship positions. Campus Closet is a community closet that provides business attire to students who may not be able to afford or did not bring business attire with them to school. Any student is able to go pick-up attire and the only cost is to dry-clean the clothing before returning it for another student to use. Workshops hosted by C2D2 include “Resume, Career Fair Prep, and How to Talk to a Recruiter” and “Negotiating Salary and Evaluating the Offer.” Workshops help students in all steps of the process, from start to finish. C2D2 puts on employer information sessions to introduce students to companies that might be potential employers for students. What makes these sessions stand out are the companies and organizations that participate. Just this month, companies such as General Motors, Chevron, NASA Jet Propulsion Laboratory and more will be on Tech’s campus for these sessions to give a little bit of information on what their companies have to offer. Apart from the upcoming all-majors career fair, C2D2 will be helping to organize some more focused events in the near future. There are career fair events specific to student athletes and students with disabilities, as well as several major-specific and specialty related events coming up. C2D2’s work is aimed towards “helping students learn how work works” and provides tools for students to discover their paths and develop the skills required to find success.